Time is Our Most Precious Commodity. Find out how C-Desk Technology can save you time. Are you tired of your company spending thousands on forcing people to make bridges out of straws, fall over each other and sing happy, clappy songs in the name of team building, then why not try something different? You could do something for your favorite charity instead. Volunteer your group for a day at a local charity. Cleaning up the grounds for example. Gets everyone working together to help the community and they get to do all of those team building skills too. So, you select one to be the team leader, a sub team leader, just like on the Apprentice. Have them work out where they will get tools, see if they can work out what is appropriate clothing for a day of gardening. And all it will cost the company is a day of training. Or you could be more ambitious. 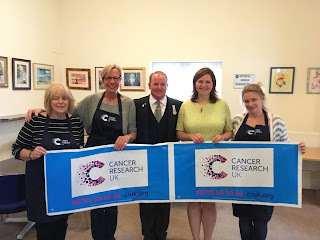 This week I organized a Royal Tea Party for Cancer Research UK. A wonderful charity and last year I joined my local fundraising committee. So if you need help organizing an event I suggest that you contact your local committee of your chosen charity and ask for help and advice on setting up a fundraising event. So, I decided that my event would be a tea party with a speaker. Having been to lots of charity talks over the years I had a good idea of what is a good speaker. Firstly, think about your audience and pick appropriately, e.g. a motivational speaker in a tracksuit is not appropriate as a speaker for successful banker and academics. Than you need to think of someone people will pay to see and thirdly you want them to go away happy so they will give more money and come back to your events. So, there was one name that stuck in my head as a witty, interesting and would appeal to a large audience. Hence, I gave William French, a Falkland’s veteran, butler to the Royal Family and other celebrities, a call. You can see why he would appeal to large audience, those interesting in the military, the Royal Family and film stars would want to listen. But the really reason I asked him was that he is a very good speaker with a great story to tell. So, I had my speaker, now I needed a venue. I went for my local theatre, (which is also a charity) lovely old theatre called the Robin Hood Theatre. A really gem, which helped me loads in organizing the event. Then there was advertising, amazing how much free publicity you can get for interesting charity events, newspapers and radio. Food I organized and got for the Cancer Research committee, (great set of bakers), local WI and a few over contacts. Raffle prizes I begged off everyone. On the day, the committee stepped in once again to help me in the kitchen and selling raffle tickets, the theatre helped me in the box office and with lighting. Within 4 hours we set up, got everyone into their seats, laughed over William’s life story, stuffed people with cake, delighted half the crowd prizes and cleaned up. 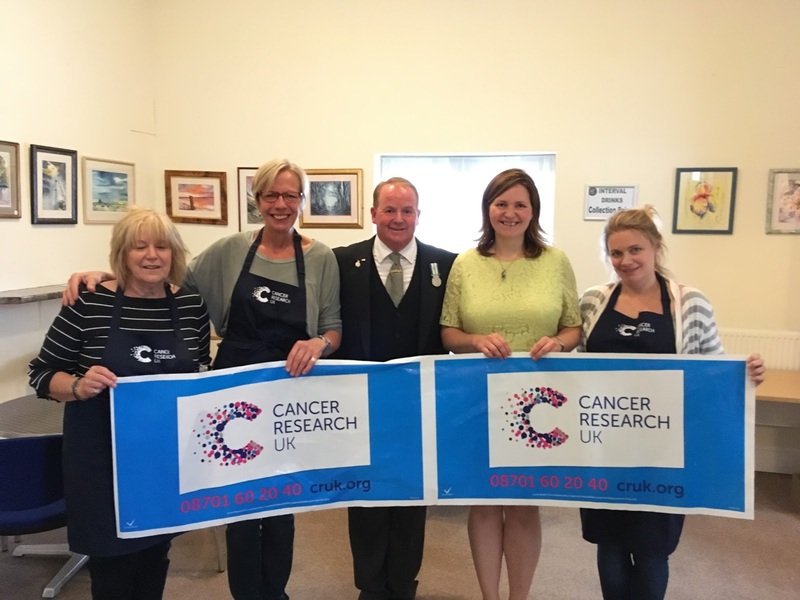 We raised over £1,300 for Cancer Research UK. than your typical team building exercise? C-Desk Technology is a family run business. We have helped both large and small organisations with their shift working arrangements around the world since 1996. Our experience can help analyse your workload, predict future variations and convert this into a tailor-made shift pattern to ensure that you always have the staff available when and where you need them. All organisations are in a state of continual change due to external factors. Your operation needs to be able to change to meet those new circumstances for it to prosper. We can help introduce those changes.